Max Brenner shared a recipe for a delicious cocktail perfect for Valentine's Day dessert. Max Brenner in Center City, the place to go for chocolate, chocolate and more chocolate, is celebrating Valentine's Day by offering a special, indulgent drink. 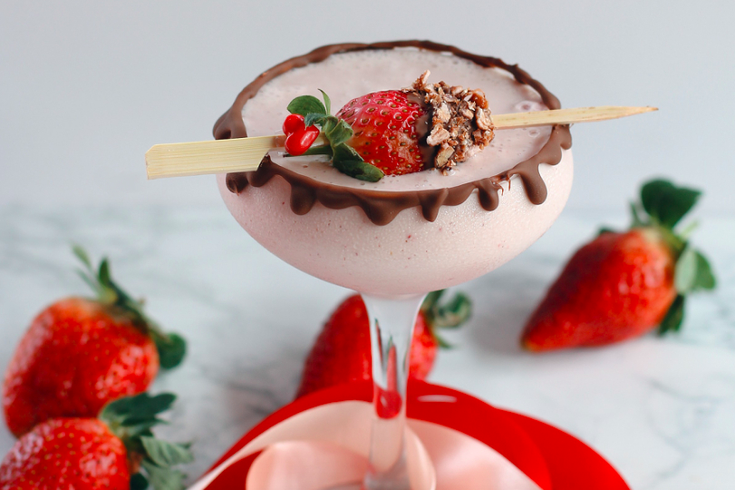 The Chocolate Covered Strawberry Cocktail is drinkable dessert, made with vodka and ice cream. It will be available at Max Brenner on Thursday, Feb. 14, for $13. The restaurant also shared the surprisingly simple recipe with PhillyVoice, for those who want to make at home. Melt chocolate ganache and use on the rim of the glass. In a blender, combine vodka and crème de cacao. Add strawberry puree and two scoops of vanilla ice cream. Blend until smooth. Pour into coupe cocktail glass and garnish with a chocolate ganache dipped strawberry. For those who have never made chocolate ganache before, you need chocolate chips, heavy cream, a microwave or stove top, and a whisk. Check out this simple recipe with great reviews here.